Locally owned and operated, Complete Doors has been a fixture of Mackay for two decades. Our dedication has always been to supply innovative and creative solutions that suit you and your individual needs. Supplying a large range of entrance, internal and garage doors, Complete Doors aim to offer the complete package with installation, repairs, and a free measure and quote all part of our extensive services. Brian Martin's Sheet Metal provides superior quality sheet metal fabrication in Mackay for more than 20 yrs. Brian Martin's Sheet Metal specialises in stainless steel, aluminum, and many more! In this category you’ll find companies that source and provide everything you need to build your Mackay, Queensland home from the floor up, from timber flooring and synthetic grass to plumbing supplies and door hardware. Some companies will stock all kinds of hardware, while others will have areas of expertise. Raw materials and how they’re applied – including everything from metal roofing and timber panelling, to board-formed concrete and porcelain tiles – can provide infinite design possibilities. If you’re working with a Mackay, Queensland builder, architect or designer, they will likely have favourite building materials they like to work with, as well as favourite suppliers. Ask them for examples of how the material has been used in past projects, and seek out alternatives for comparisons. 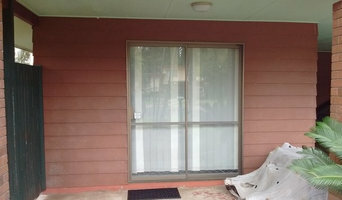 Find building supplies in Mackay, Queensland on Houzz. Scroll through this page to find companies that source and deliver building supplies in your area. You can browse their portfolio, read reviews and see how other tradesmen and homeowners rate their customer service, expertise and product.